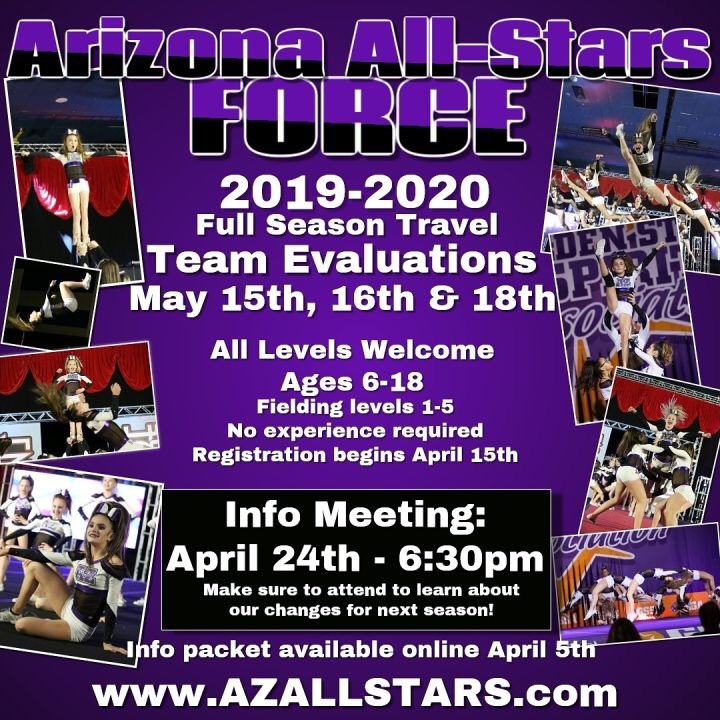 Arizona All-Stars F3 Recreational cheer program meets in 7-8 week sessions. Beg/Int cheer teams learn the basics on competition cheer and put those skills into a routine to perform at the end of each session. 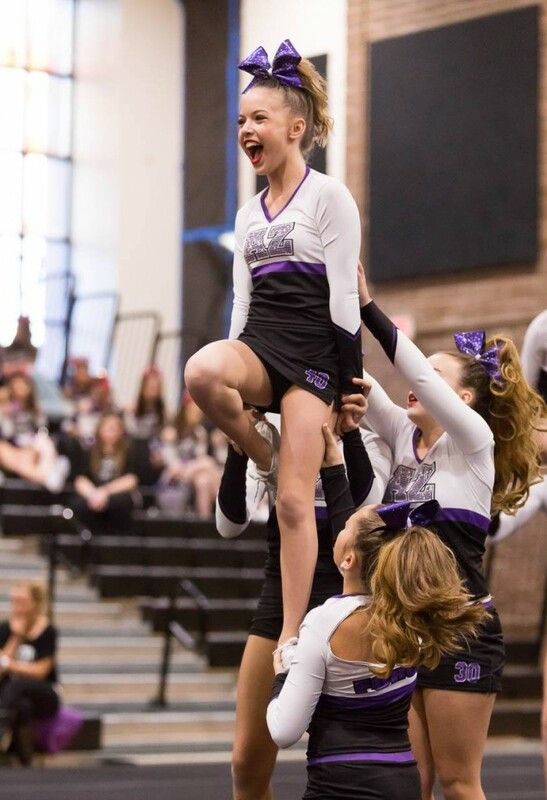 Many of our athletes use our F3 cheer sessions to get ready for our year round prep competitive cheer teams! We do offer an early bird deal. If you register before that Early Bird date, your athlete will receive 4 weeks of tumbling classes! 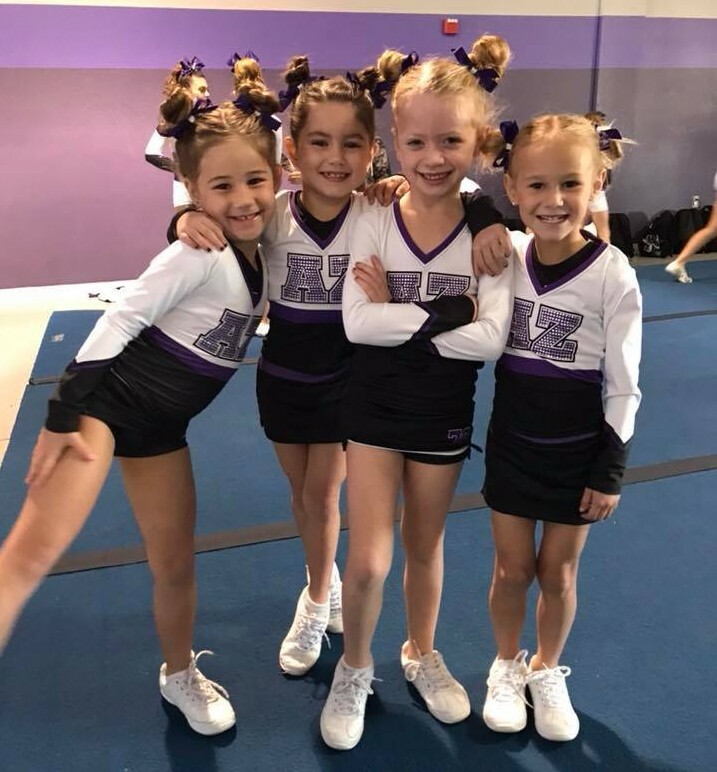 EARLY BIRD DEAL: If you register and pay in full before the specified dates, your athlete will receive 4 weeks of tumbling for FREE (1 Hour Per Week)! Take advantage of this deal while there’s still time. Our popular Half Season team Gold is back! If interested in joining the Force please give us a call today 480-831-1105. 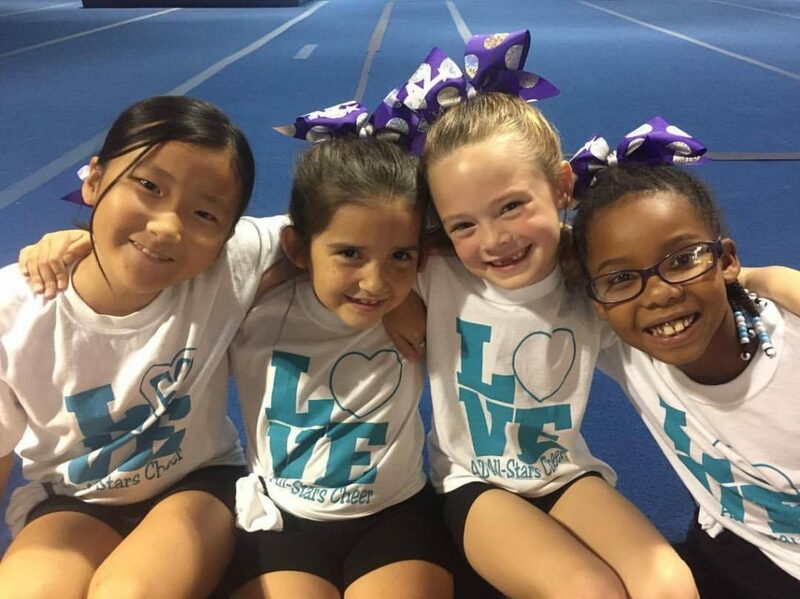 Gems is perfect for younger athletes that want to take a step into the competitive cheer world! Athletes learn a novice routine to compete at one competition in March and our end of the season showcase! They will learn basic cheer skills such as motions, formations, jumps, basic stunting, and more! IT’S NOT TOO LATE – If interested in joining the Force please give us a call today 480-831-1105. 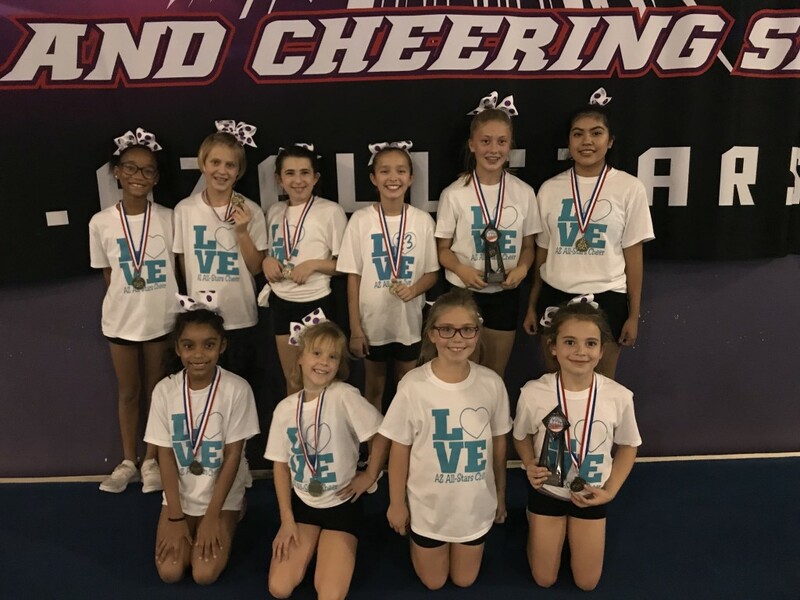 Our all-star prep program provides athletes an opportunity to participate in competitive cheerleading at its best, from the best, at an affordable price. Athletes will get the chance to compete/perform 4-5 times locally throughout the season! Each athlete who tries out will be placed on a team and each team will practice twice a week for a 1.5 hour session. This is perfect for beginners!! Register by August 15th and unlimited Tumble for the month of August. 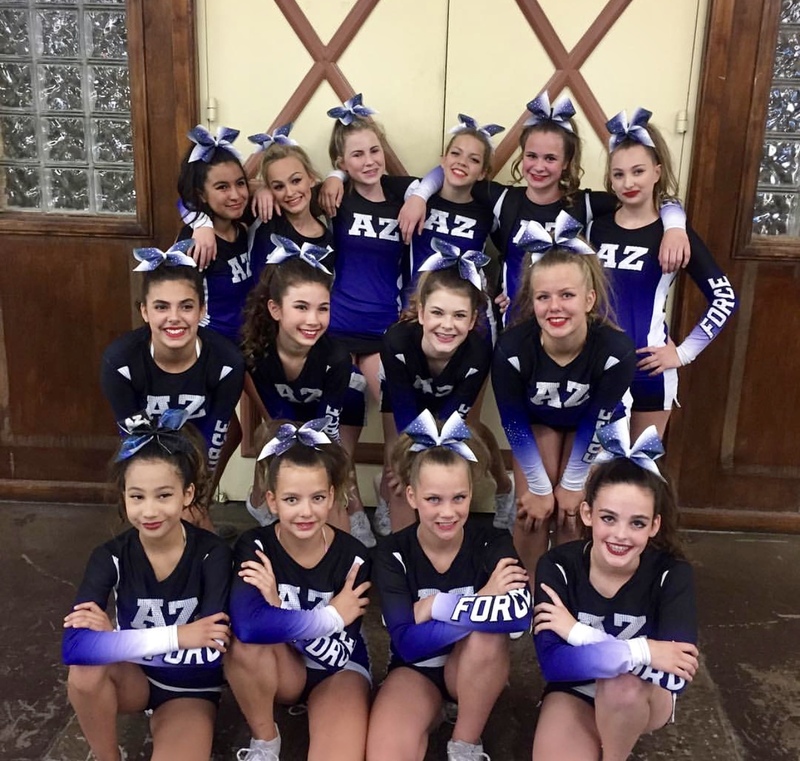 This team includes one tumbling class a week but you can always add on additional practices. Please note – no matter the time you begin in the season, there are past fees that will still be collected . We are so excited to announce that we will be beginning our 18th Season in May! We want to invite you to check out what we have to offer! Our mission since we opened in 2002 is to train individuals in Cheer and Tumbling using exercise, strength and self-esteem. We aspire to increase the technical skills and self-confidence of every participant. We are proud to say that our mission has remained the same since we opened 16 years ago. We continue to offer a culture that provides more friendships, memories and life lessons then trophies, jackets and rings. We are excited to announce that we were awarded a Summit bid during the 2017-2018 season and look forward to Summit and Worlds opportunities in the future! Our All-Star teams will focus on teams up to level 4. These teams will continue to have unlimited tumbling and will travel 2-3 times during the season. 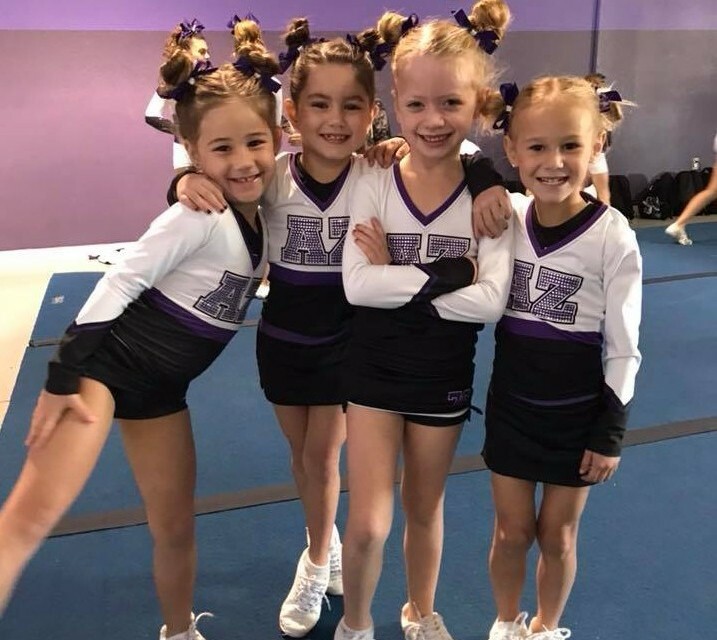 Our all-star prep program provides athletes an opportunity to participate in competitive cheerleading at its best, from the best, at an affordable price. Athletes will get the chance to compete/perform 4-5 times locally & 1 times out of state in April 2018! Each athlete who tries out will be placed on a team and each team will practice twice a week for a 1.5 hour session. This is perfect for beginners!! Tumbling is included! Our evaluations have passed but you are NOT TOO LATE!!! If interested in joining the Force please give us a call today 480-831-1105. 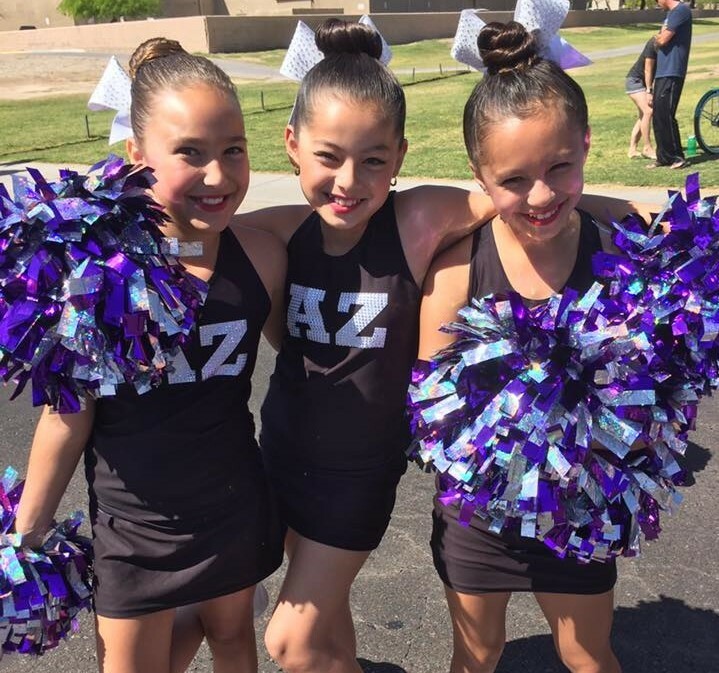 Glitz is our NEWEST teams that sole focus is on performances around the valley! 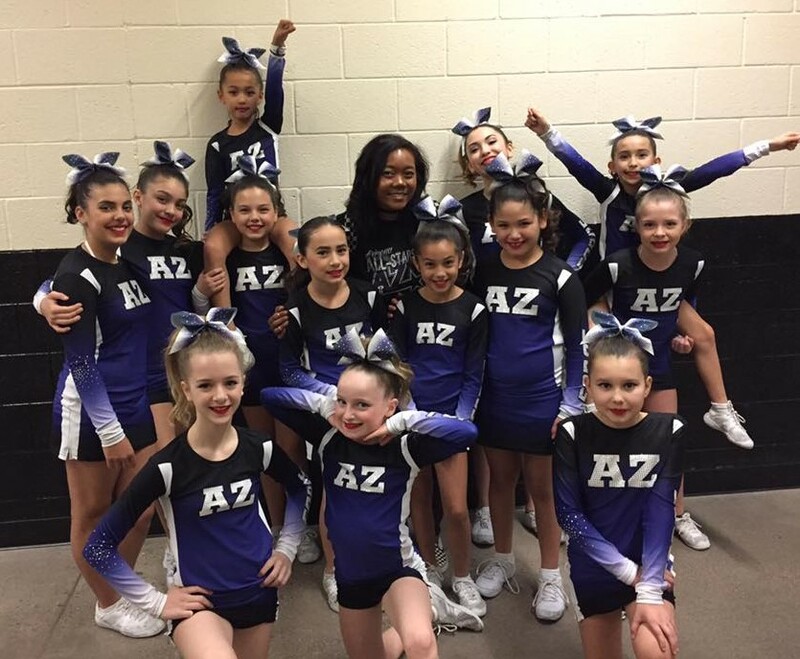 Glitz will learn a performance routine to perform at various events (festivals, cheer competitions,, etc). 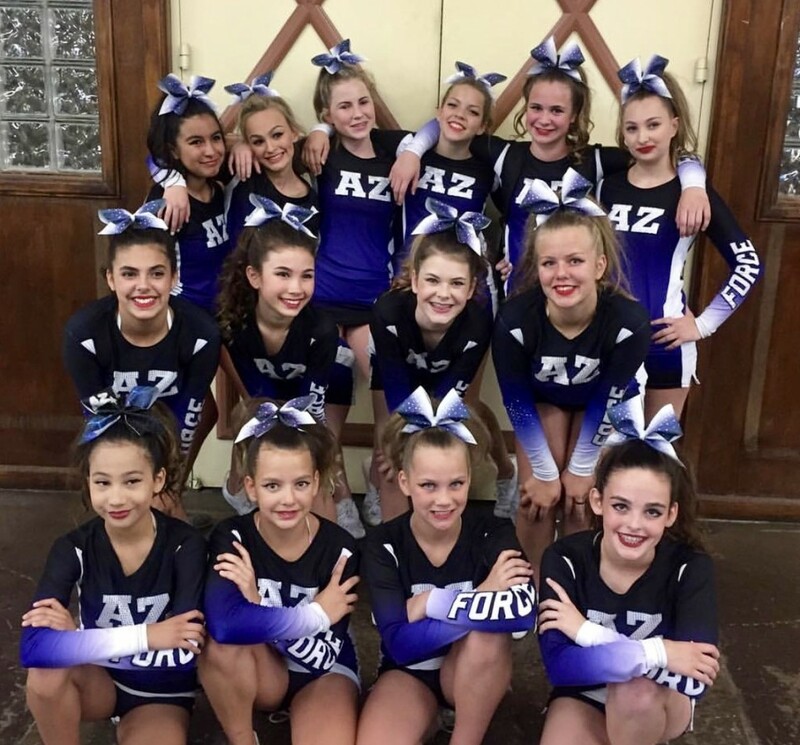 This team are geared toward athletes of all levels that LOVE performing but do not want the added pressure of competing; more for the fun of being on a team while performing. Routines will be comprised mainly of Dance, Jumps, and Tumbling! Make sure to follow us on FACEBOOK and INSTAGRAM to view our specials throughout the year! !